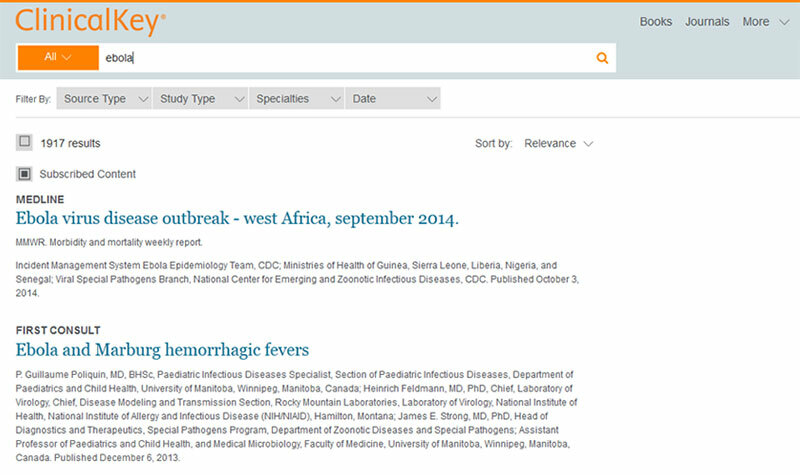 For West Africa, Elsevier is granting free access to its primary online clinical information and reference tool, ClinicalKey, for the next two months. Countries included in this program are Nigeria, Cameroon, Central African Republic, Ghana, Liberia, Sierra Leone, Angola, Togo, Tanzania, Ethiopia, Mozambique, Burundi, Equatorial Guinea, Madagascar and Malawi. "Our thoughts and prayers during this crisis are for the people of West Africa, especially the healthcare workers there from all over the world, who are working hard to contain this outbreak," said Jay Katzen, President of Elsevier Clinical Solutions. ClinicalKey is a search engine that provides evidence-based clinical answers drawn from the single largest body of clinical content available, including Medline, 600+ journals, 1,100+ books, drug information, guidelines, and patient education. Its "smart search" technology allows the most clinically relevant results to be presented because all of the content has been tagged using Elsevier's medical taxonomy, enabling it to go beyond keyword searches to understand clinical terms and the relationship between them. Access to ClinicalKey is IP-validated for hospitals, institutional libraries and other healthcare organizations supporting those battling the Ebola outbreak. 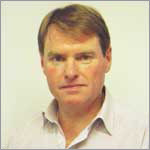 Healthcare and disaster aid workers in West Africa will be able to access ClinicalKey by going to clinicalkey.com. 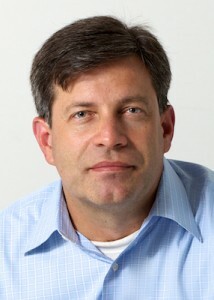 Elsevier is one of many publishers contributing to the Emergency Access Initiative (EAI), a program of the National Institutes of Health (NIH) in partnership with the US National Library of Medicine, the National Network of Libraries of Medicine, and the Professional/Scholarly Publishing Division of the Association of American Publishers. The NIH activated the program in August in response to the Ebola outbreak. 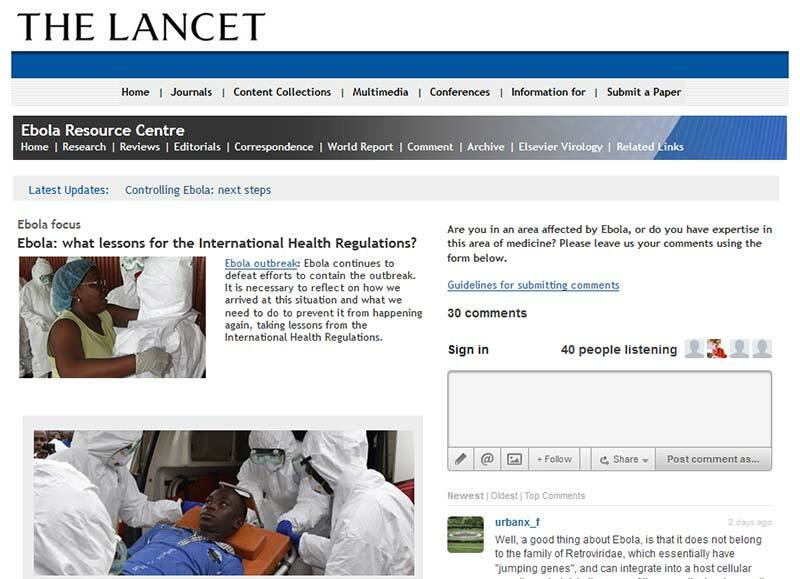 In addition to these efforts, The Lancet, has set up an Ebola Resource Centre, where both healthcare professionals and the public can read the latest updates, research, reviews, editorials, correspondence and commentary on the outbreak. This hub brings together existing Ebola content from The Lancet and Cell Press journals along with new Ebola research as it is published. In "Fiddling while Ebola Burns," John McConnell, Editor of The Lancet Infectious Diseases, looks at how Ebola turned into an epidemic, and what measures should – and should not – be taken to stop it. The article includes travel tips and infographics from the CDC.